005 – Greystoke | All Eighties Movies. All The Time! ← Retro Cinema now on Facebook! This entry was posted in Podcasts and tagged action, drama, greystoke. Bookmark the permalink. I luved this film. Thank you for podcast. I need to show it to my teens. 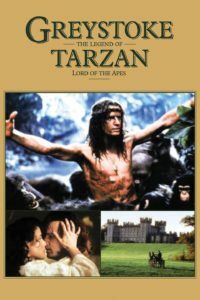 Still best Tarzan movie. I just sent in Eastern Congo to study the gret apes & listen to you pod.